Jidé created the Corner to keep answering the best of our customers needs. This corner fireplace with a folded glass gives a panoramic view on the flames. 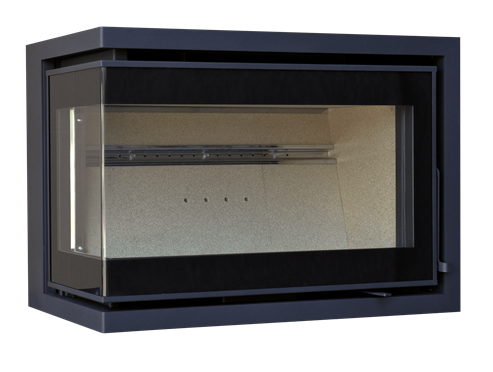 The elegant device fits as well in an existing chimney as in a new house. Provided with an external air connection, the Corner is a sealed device offering an ecological combustion. 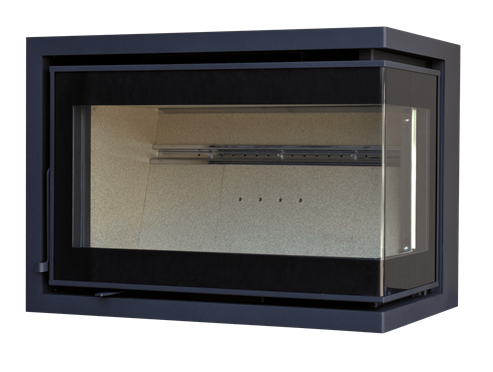 Your left or right corner will be dressed with an efficient fireplace having a performance of 80 % and a modern design with a screen printed glass and minimalist lines. You will be seduced by its warmth, its effective combustion and its modern look.